Andragogy had a very slow beginning over a period of almost one century as a term referring to the theory and practice of adult education. Numerous elements were involved in the seventy years it took to establish its foundation: starting in England and the USA; andragogy and human resource development [HRD]; andragogy and self-directed learning [SDL]; conflict between supporters and detractors; comparing European and USA perspectives; trust in learners’ abilities; scientific foundation of andragogy; skepticism and its counter-balance; and, antecedents of andragogy. 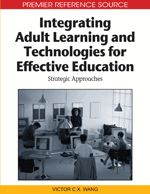 Trends in usage and considering its possible benefits set the tone for the future of andragogy from 2000 forward. The term ‘andragogy’, as far as we know, was first authored by Alexander Kapp (1833), a German high school teacher. In the book entitled ‘Platon’s Erziehungslehre’ (Plato’s Educational Ideas) he describes the lifelong necessity to learn. He begins the book with a discussion on childhood. However, from page 241 to 300 he turns attention to adulthood – Andragogy or Education in the man’s age [a replica of the document is available at http://www.andragogy.net]. Kapp argues that education, self-reflection, and educating the character are the first values in human life. He then refers to vocational education of the healing profession, soldier, educator, orator, ruler, and men as the family father. Here we find patterns which repeatedly can be found in the ongoing history of andragogy: Included and combined are the education of inner, subjective personality (‘character’); outer, objective competencies (what later is discussed under ‘education vs. training’); and, that learning happens not only through teachers, but also through self-reflection and life experience, which makes it more than ‘teaching adults’. The term andragogy lay fallow for many decades, perhaps because adult education was being conducted without a specific name to designate what it was. Nonetheless, in the 1920s Germany became a place for building theory and another German resurrected the term. Rosenstock-Huessy (1925) posed andragogy as the only method for the German people and Germany, despirited and degenerated in 1918 after World War I, to regenerate themselves and their country. He suggested that all adult education (andragogy), if it is to achieve anything original that shapes man, which arises from the depths of time, would have to proceed from the suffering which the lost war brought them. Historical thinking is a fundamental dimension of andragogy, in that historical events are to be analyzed for what can be learned from them so that past failures might not be repeated. In this way the past becomes unified with the present and future – history past becomes unified with present knowledge and action for moving us toward the future. In andragogy, theory becomes practical deed, in the responsible word, in the crucible of necessity; however, practical deeds become the stuff of theory. Andragogy is not merely ‘better’ as an educational method for this purpose; it is a necessity.